For many years, MAXON’s Cinebench has been a much-loved benchmark for generating super-quick (relatively) performance results for single- and multi-thread CPU tests, as well as an OpenGL GPU test. With Cinema 4D R20 having released at last summer’s SIGGRAPH, it became clearer than ever that the standalone Cinebench benchmark needed an update.….. The folks over at UL have announced that a new iteration of PCMark 10 is coming, and will introduce two long-awaited tests: battery-life, and applications. On the battery-life side, this means that PCMark 10 will finally be able to fully replace PCMark 8 for those who were sticking to it for that…..
At CES, AMD pleased Ryzen mobile fans the world over when it announced that it would be handling GPU driver releases going forward. That fixes a rather annoying problem of users having to wait months for an official driver update to be provided by the notebook vendor – a genuinely pathetic problem…..
It’s hard to believe just how fast technology moves sometimes. At the end of January, we learned from Samsung that 1TB smartphones were coming, thanks to its new 16-layer 512Gb V-NAND. As we saw last week, the smartphone giant wasted no time putting that 1TB V-NAND into a phone, as the Galaxy…..
With each new Quick Charge iteration, Qualcomm promises that we’ll be waiting for even less time while our phones charge. But what about those folks who would love to take better advantage of wireless charging? It’s the new hotness, and yet Quick Charge hasn’t catered to it. Until now, of course. Qualcomm…..
Corsair had a lot to show off at last month’s CES, but one of the products that was undeniably eye-catching was the new DOMINATOR Platinum RGB memory, featuring the company’s CAPELLIX LEDs. These LEDs are not only able to run brighter at equal power compared to current solutions, a lot more LEDs…..
Intel is the leader in desktop graphics thanks to the inclusion of an integrated graphics processor on most of its mainstream offerings. The discrete GPU side of things has been a little more tumultuous for the company, however. We were at IDF in 2009 when Larrabee was announced, a graphics card that…..
As it stands today, Arm dominates the mobile chip landscape. Its architectures are found in most of the world’s smartphones, with heavy-hitters Qualcomm using them in its Snapdragon processors, and Apple in its A-series. Given the permeation of Arm in mobile, it’s easy to fall into the trap of thinking that mobile…..
Over the past year, Qualcomm and its partners have given us plenty of reasons why the upcoming 5G rollout is worth getting excited over. Many of the performance claims have been undoubtedly impressive. In effect, it seems like we’ll be getting more performance than we even “need”, which means there should be….. This week, Rocket League gets bolstered cross-play capabilities by allowing friends on different platforms to team up. Being able to play against others on different platforms has existed for a while in RL, but with the ability to team up with friends on another platform, another major caveat of cross-play gaming gets…..
Those looking for a new five-bay NAS would do well to check out Synology’s newest DiskStation, the DS1019+. This new NAS replaces the DS1517+, and offers five bays as well as a quad-core CPU and 8GB 4GB of memory as standard. It also includes dual M.2 slots for super-fast SSD access, and…..
At the ongoing SOLIDWORKS World 2019, NVIDIA, along with a number of partners, rolled out a slew of Quadro RTX workstations. As you might expect, given the location, these workstations are perfectly suited for SolidWorks use, allowing users to edit inside of a fluid viewport in SW, and then render or animate…..
With three articles on launch day, we can honestly say that Radeon VII’s launch has kept us busy. What’s been most exhausting, though, has been keeping track of details. I can’t remember the last time there was so much miscommunication surrounding a new GPU launch, and it seems like nothing is stopping…..
Just in time for SOLIDWORKS World in Dallas, Texas, AMD has released its latest Radeon Pro Software for Enterprise driver, which among many things improves performance in Dassault Systèmes’ flagship design suite. According to AMD, the 19.Q1 driver represents a 46% performance increase in SolidWorks, over last year’s 18.Q1 driver. Similarly, a…..
DRM is one of the worst plagues to hit ever hit consumer goods. To purchase a product and be locked out of it due to draconian DRM is, to me, inexcusable. It was BS when S.T.A.L.K.E.R. : Clear Sky had a five-time activation limit, and it was likewise BS when the much-hyped Spore…..
Last week, publisher Deep Silver made the interesting announcement that it would be moving Metro Exodus from Steam and other platforms to become an exclusive at Epic Games Store. For gamers, this move generally works out well because there is a cost savings of $10, but it of course comes at the….. Following months of anticipation and uncertainty, Intel has today named interim CEO Bob Swan as the company’s new full-time CEO. The move isn’t going to change too much for Swan, but it finally adds some stability to the company to help it move forward more effectively, and efficiently. Admittedly, the fact that…..
For many, smartphones have largely replaced desktops and notebooks, because they can get everything they need to get done right on that little screen. If you’re someone who fits into that mold, your hunger for more storage likely never goes away. 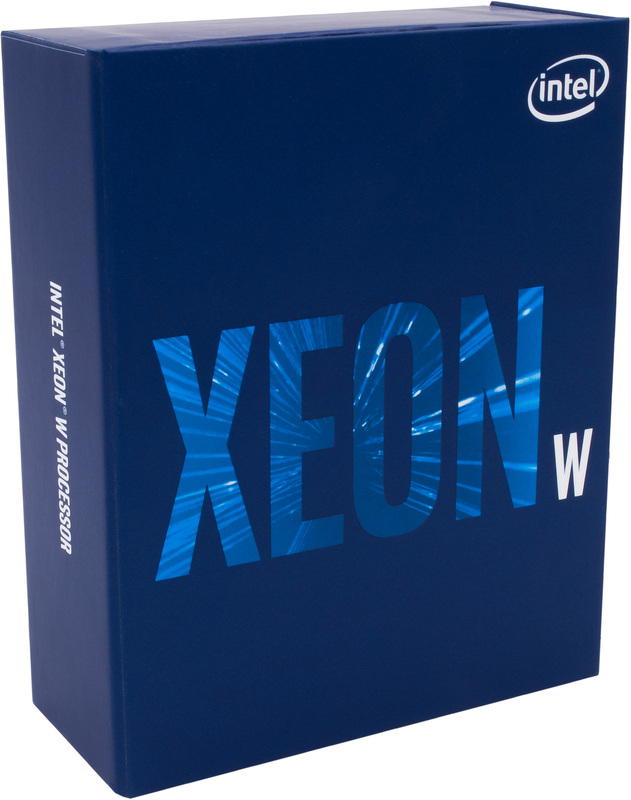 Currently, the top storage device you can get today is 512GB,…..
Intel’s new 28-core Xeon W-3175X is a beast of a processor. It’s a chip that’s meant for the most serious of workloads, and that means lots of memory would be helpful. Leave it to G.SKILL to give us an absolute lust-worthy memory kit on day 1, with its beautiful Trident Z Royal…..
At last summer’s Computex in Taipei, Taiwan, Intel teased its 28-core Xeon W processor that would cater to enthusiasts instead of the server market. With as much time as we’ve been waiting for this chip to become a reality, no one could blame you if you thought it’d never see the light of…..
A couple of weeks ago, we wrote that Valve would be infusing Steam with some machine-learning. The goal is to improve the relevancy of the games you’re recommended, which is pretty important if you’re the type to browse stores to see what’s out there. Ultimately, Steam recently touted the many ways Steam…..
With the release of Far Cry 5 under a year ago, Corsair introduced an ability with its iCUE software to allow a game to instantly adjust RGB lighting depending on the situation in a game. In FC5, the main menu would light up a PC in red, white, and blue, a tie-in to…..
For as often as Intel talks about its RealSense camera technology, it hasn’t seemed to catch on as much as it probably should have by now. Initially, that was definitely due to cost, but over the years, costs have come down, and the tech has only gotten better. This week, the company…..
At CES, AMD laid the groundwork for what’s to launch throughout 2019, which at the forefront includes the third-generation Ryzen series, dubbed the 3000-series. That will be followed by EPYC 2, and both platforms will support the latest features users crave, as well as some new ones, such as PCIe 4.0 (which….. Earlier this week, we reported on a leak which suggested NVIDIA could have a GeForce GTX 1660 Ti en route, despite how nonsensical the name seems to be, given what we’ve known of NVIDIA’s naming schemes up to this point. Nonetheless, the Ashes of the Singularity benchmark result seemed awfully convincing. Last…..